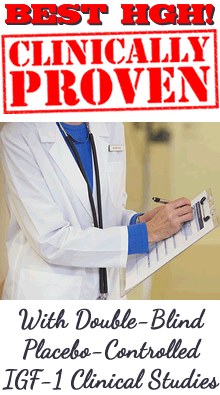 Human growth hormone (HGH) is one of our most important hormones. It is the body's main growth and repair hormone. Its production is highest during childhood. If children have a deficiency their development will be delayed and if they have too much they will grow more than normal. Once adulthood is reached we still need HGH because it plays a major role in the new cell growth and repair that is required for optimum health. As we age the pituitary gland continues to produce HGH however the amount released into the bloodstream slowly diminishes and so the body has less to use to repair itself and maintain good health. As age continues to progress the growing lack of human growth hormone plays a major role in the effects of aging. Inadequate human growth hormone in the body is referred to as "SDS", or Somatotropin Deficiency Syndrome. Another term that is used is Somatopause. Modern mainstream medicine has long known that restoring the levels of certain declining hormones improves health and reduces the symptoms of aging. Supplementations of insulin, cortisol, thyroid, estrogen, progesterone, and testosterone have been used for years, however they considered the decrease of HGH in the aging body unimportant. Many doctors were taught that HGH is only needed during childhood, and unfortunately a large number still believe this to be true. We in anti-aging and functional medicine know that HGH remains important throughout life and so it should also be restored in order to sustain optimum health. 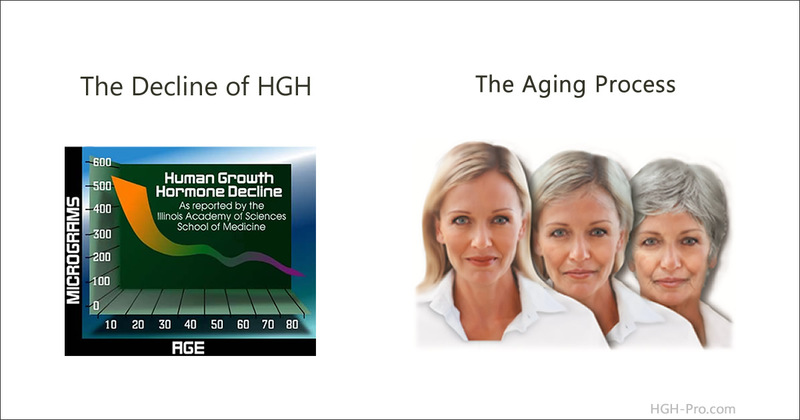 Studies done over the past 25 years have shown that improving HGH to a more youthful level not only slows down the effects of aging but may reverse many of the symptoms of aging that have already occurred. "Untreated human growth hormone deficient adults have been shown to have increased cardiovascular mortality, reduced exercise capacity, reduced muscle strength, subnormal glomerular filtration rate and renal plasma flow, defective sweat secretion and defective thermo-regulation, reduced energy expenditure and basal metabolic rate, abnormal thyroid hormone metabolism, reduced myocardial function and clinical signs of premature atherosclerosis." The researchers found that the body composition of growth hormone deficient individuals was abnormal with increased fat mass, decreased lean body mass, decreased muscle/fat ratio, visceral obesity, reduced extracellular fluid volume and reduced bone mineral content. Furthermore, two independent groups reported impaired psychological well-being as compared to treated subjects with normal HGH levels. The effects of decreased human growth hormone are not as immediately dramatic as some hormones. For instance, a sudden drop in insulin is an acute condition that can be life threatening. The slow decline of HGH over the years causes the body to wear out and break down. Replacement therapy with synthetic injections is very expensive and more importantly we do not know the full effects of replacing the body's naturally made hormone with an artificial one. These are reasons why some believe the injections should only be given as the last option. Luckily, injections are not the only way in which HGH may be improved in the body. We can take products that contain human growth hormone in homeopathic form and also help the pituitary gland to improve its own release of HGH. Another option is to take certain amino acids that may stimulate the pituitary gland to release more HGH. However, since the pituitary gland seems to become resistant to mega doses of amino acids fairly quickly, this option is usually only effective for a few weeks. IGF-1: The Growth Factor of Youth!